Matthias Neubert and his team are elated since scientists at Geneva's CERN research center found the first indications of the existence of the Higgs boson. This is the last building block missing from the standard model of physics. 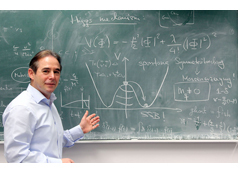 The head of the Theoretical Elementary Particle Physics unit at Johannes Gutenberg University Mainz (JGU) now expects his area of research to take off. In the corridor in front of his office, there is a screen with a direct connection to Geneva's CERN, the world's largest research center for particle physics. Professor Dr. Matthias Neubert and his colleagues and students may now follow what is happening in Switzerland at any time and a lot has been happening these days, even if the media sometimes gives a distorted picture. The Higgs boson, the existence of which was postulated as early as 1964, has now finally been discovered according to reports in certain newspapers. "There has not yet been an unequivocal discovery," Neubert explains. 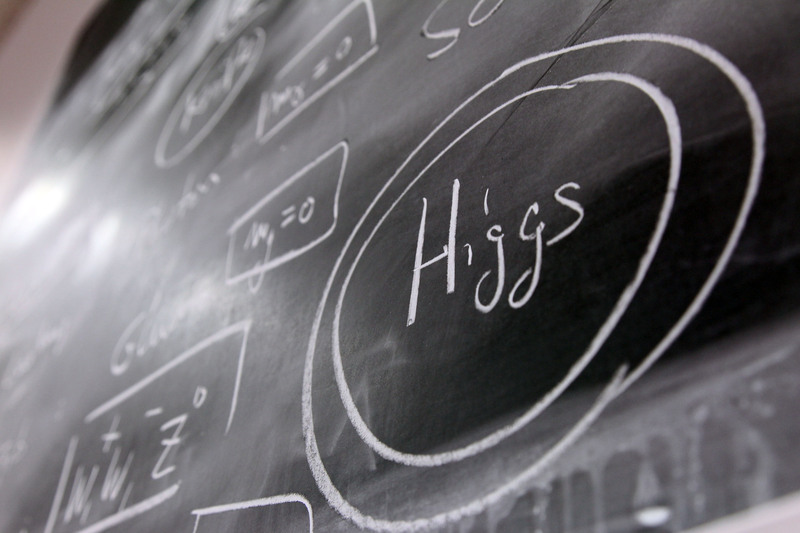 "But there are first clear signs that Higgs particles may actually exist." The findings are based on the result of proton-proton collisions in the Large Hadron Collider (LHC) at CERN. 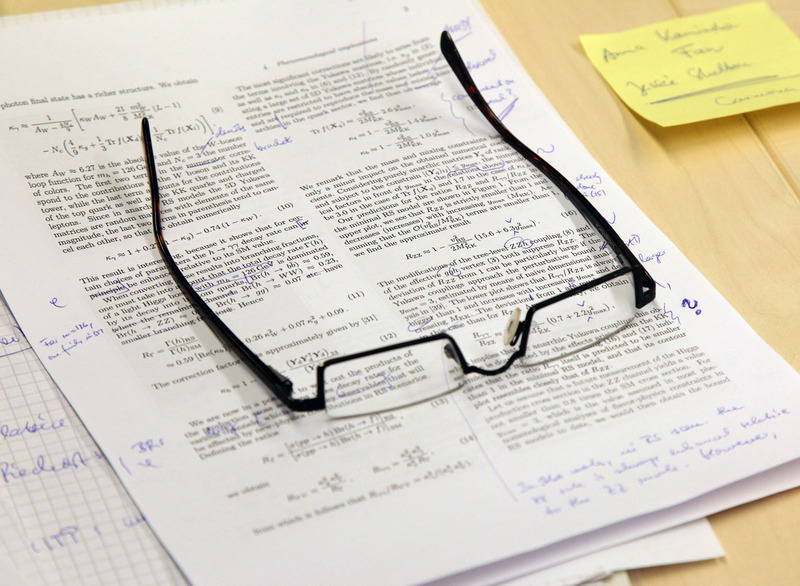 Mainz physicists are now trying to get their head around it. "This kind of new data provides enormous impetus to our research," says Neubert. "It's like a revolution." British physicist Peter Higgs postulated that the boson named after him explained how the other elementary particles acquired their mass. Neubert chose a metaphor to make things easier to explain: "Extending throughout the entire universe is a kind of ether. Particles moving in it are deflected. This is what we call mass. The idea that there is this omnipresent ether that nobody can see is something people don't like," Neubert says with a smile. But that's not his problem. PERSONAL DATA: Matthias Neubert, born 1962 in Siegen, Germany, studied physics, mathematics, and chemistry at the University of Siegen. After finishing his undergraduate studies he switched to Heidelberg University, where he acquired a Diploma degree followed by a doctorate in 1990. 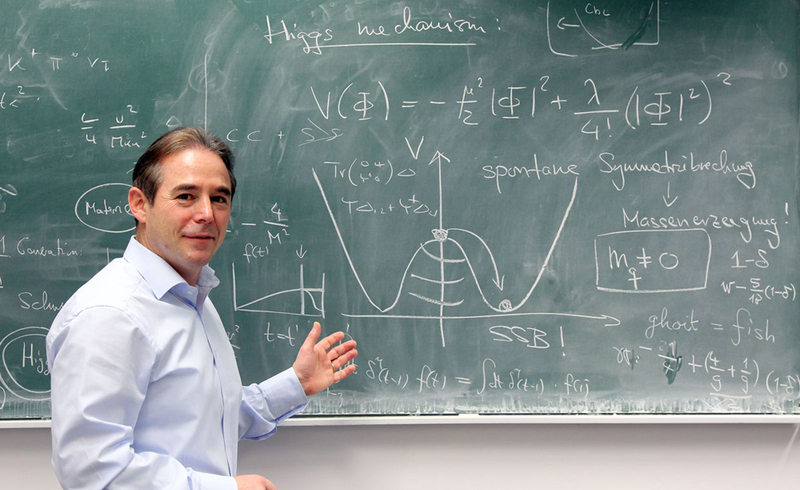 In 1993, he wrote his professorial dissertation on the subject of "Heavy quark symmetry." Neubert researched and taught at the Stanford Linear Accelerator Center (SLAC), at CERN in Geneva, and at Cornell University. In 2006, he was appointed University Professor of Theoretical Elementary Particle Physics at the Johannes Gutenberg University Mainz. Here, he was installed as director of the Gutenberg Research College in 2010. In 2011, he was awarded an Advanced Grant worth EUR 2.1 million by the European Research Council (ERC) for his work in the area of theoretical high energy physics. Neubert is sitting in his office that has at least one of the stereotype particle physicist attributes. There is a large chalkboard on the wall and the chalk is at hand to add to the formulas already on the board. 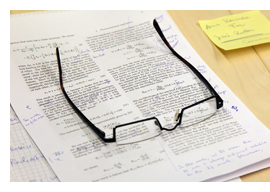 "It is a huge help when thinking," says the scientist. Opposite are shelves with specialist literature, decorated with framed photos. The physicist can be seen with Nobel laureate Richard Feynmann both standing in front of a chalkboard, of course. However, most of the pictures are of Neubert's children. "My children let me know how difficult it is to explain what we do here." At the core is a theory that explains how the universe was created and what it is made of. Thus on the one hand, ever larger accelerators like the LHC have been built to track down the particles through experimentation, while Neubert and his colleagues continue to refine the calculations associated with these particles. Even though they are looking at the smallest building blocks of the universe, the scientists are searching for answers to the big questions. "Five sixths of the matter of the universe are made of dark matter. And our standard model does not have any possible explanations for it." Yet it is apparent that this matter exists. "We are convinced that sooner or later the corresponding particles will be discovered." It all sounds very theoretical. But Neubert knows how to pair quantum mechanics and link the theories governing atomic and subatomic processes with people’s everyday lives. "Reality at the level of quantum mechanics is different from the one we are familiar with. Things can be everywhere at the same time; in fact, they can even be teleported. A lot of people may think this is impossible but it impinges directly on the concept that nature is deterministic, in other words, that I can predict everything if I know all the forces at work." But this is an illusion because: "In quantum mechanics we can talk about probabilities only – perhaps not so surprising as serendipity has deep roots in our very nature." The irregular distribution of galaxies in the universe is one of the most obvious examples of the effect of quantum mechanics. "Right after the Big Bang, everything was still so small that quantum physics determined how matter was distributed." Without this force, the sky would appear completely different. And for those who are still unconvinced, he adds: "Without quantum mechanics, there would be no computers or mobile phones." Even though relatively few people understand what is being calculated on Neubert's large chalkboard, the findings are relevant to us all. And his team is working hard at this very moment. "As soon as we have new data in our hands, we also have new, creative ideas." The JGU team of researchers receives this new data directly from CERN – via the screen outside of Neubert’s office. "We always know what is going on there." 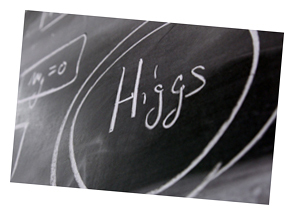 And in the near future, the Higgs particle might actually be discovered. "I assume it will happen," says Neubert optimistically.